“New wine calls for new wineskins” (Mark 2:22, NLV). The word “new” as in “new wine” is the Greek word “neos” which means brand new. The wine God pours out from heaven is brand new. There is no man made substitution. The word “new” as in “new wineskins” is the word “kainos” which means renewed, refreshed, revived. When people were on a journey they carefully took care of their wineskins because the wineskins carried wine. They would wash any sediment that might have settled. Afterward they would take oil and massage it into the wineskin keeping it soft and supple. Healthy wineskins were expandable, pliable, and had give. But when they were not on a journey they were apt to throw the wineskin outside their tent where the sun would beat down on it drying it up. The wineskin would then become brittle, stiff & hard. Symbolically our wineskin represents our inner man, our spirit. When we are on a journey, in need of God we are very careful to keep our spirit clean, also allowing the anointing of the Holy Spirit to soften every place that might have gotten hard. When we have no needs or are not actively ministering to others our tendency is to neglect our inner man tossing it aside. The new wine symbolically stands for joy. As our wineskins are softened, it becomes compatible with the new wine from heaven and the joy of the Lord fills us up. Fresh anointing me and holy intoxications fill us to overflowing. We then have joy for the journey. No wine, no strength. When we are not filled with joy we become complaining , joyless believers. We can’t allow that to happen. 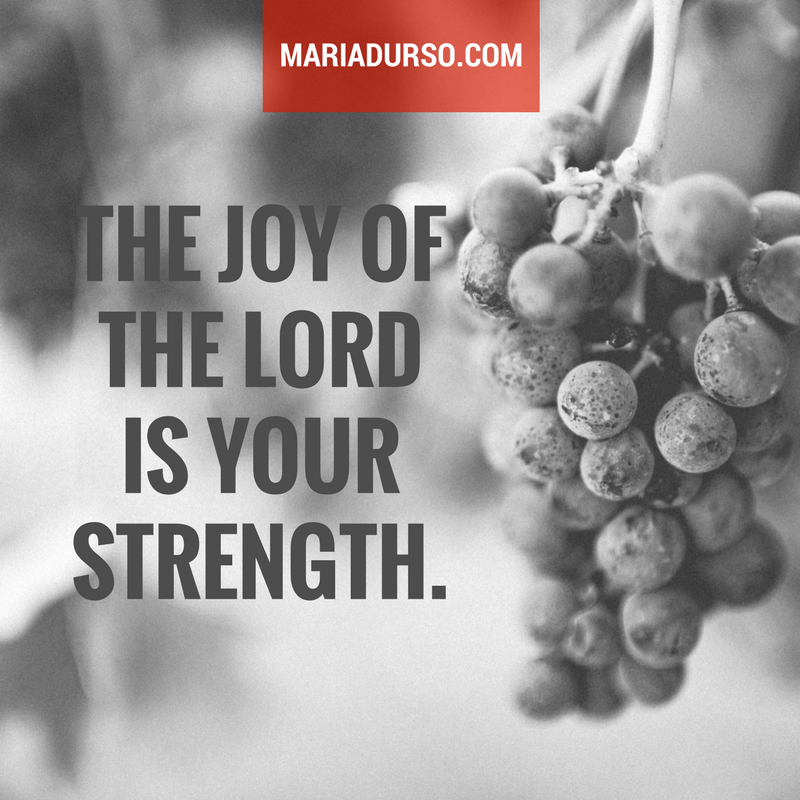 God created us to carry around His joy everywhere we go. Not the law, not judgment but joy unspeakable and full of glory. People should want to have a drink of what we are carrying around. Let’s face it. If you’re not soaking, you’re sulking. When we’re sulking our inner man is decaying. Today, the Holy Spirit has new wine for you. How long are you going to mourn? Stop! Fill your horn, fill it with oil and the new wine and be on your way! “God created us to carry around His joy everywhere we go. ” This is beautiful! His relentless, unconditional, perfect LOVE fills my soul. I am so grateful for His love and mercy. Yes, I must carry the joy He brings everywhere I go, even on the days my arthritis is acting up, even on the days my son shares that he has yet another new girlfriend (4th in the same month), even on the days my boss has about 1000 edits to a report that took me a week to formulate. The circumstances of our lives and problems of this world may not supersede my God’s Love and Joy!! !